On Friday, April 12, 2019, the 8th Grade Italian students had an opportunity to attend a walking guided tour of Little Italy, Arthur Avenue in the Bronx. During the tour, the students were able to experience history and traditions of the Italian culture. Students met food artisans behind the counter, sampled bread, sopressata, fresh mozzarella, gelato, cannoli, and other pastries. At the end of the tour, students enjoyed lunch which included specialty pizza and panini from the local market. In addition to sampling food, students were able to purchase items to bring back to families from the local authentic shops, such as bread, ravioli, sausage, cheese, pastries, and nutella. On Sunday, April 14, 2019, Ms. Green and Mrs. Klein accompanied nine sixth and seventh grade students from John F. Kennedy Middle School to the Gurwin Nursing Home for a once in a lifetime visit with Holocaust survivors and their families. During the 90 minute presentation, survivors shared remarkable stories of survival in war torn Europe between 1935-1945. All seven survivors recalled heartbreaking memories of separation from their families, brutality in their communities, and constant fear, all the while reminding the students of the importance of sharing and learning from their painful legacy. John F. Kennedy students exhibited tremendous compassion and respect throughout the visit, asking thoughtful questions and speaking with the survivors as a means of appreciating their own role as bearers of the torch of remembrance. Participants represented the best of John F. Kennedy and look forward to sharing the lessons of tolerance and kindness they learned from the survivors within the John F. Kennedy and Bethpage community. John F. Kennedy students had the opportunity to meet with Mrs. Quinn, Mrs. Dalton, Ms. Landers, and Mrs. Klein to participate in a 21st Century: Savers activity. Donations of unwanted clothes were made and many items were bought. The activity took place just in time for Earth Day! Students learned the importance of recycling and helping a nonprofit organization, such as Big Brothers Big Sisters. The JFK student council recently donated a check for $1,170.35 to Autism Speaks, thanks to a successful “Penny Wars” fundraiser. During the school’s annual Spirit Week, held throughout the second week of February, lunch periods competed against each other in a “Penny Wars” competition. It was decided by the student council that the money raised was to be donated to Autism Speaks prior to World Autism Awareness Day on April 2. The advocacy organization Autism Speaks sponsors autism research and conducts awareness as well as outreach activities aimed at families, governments and the public. Students in the seventh-period lunch group raised the greatest amount of funds, and were rewarded with a pancake breakfast hosted by staff members on March 15. Student council advisors Julianna LaLuna and Melissa Mackenzie were extremely proud and thankful to all who got involved and generously participated. “The competition was a perfect way to bring out the best of our students and help raise awareness and funds for Autism Speaks,” said Ms. Mackenzie. Students from John F. Kennedy Middle School had the opportunity to ride unicycles as a part of the 21st Century: Just One Wheel activity. Special thanks to the Cohen family for allowing us to run this activity for the second straight year! For three hours, the student participants received instruction on how to ride a unicycle. It started with balancing activities and then training wheels! Finally, the students were ready to ride the unicycle itself! John F. Kennedy Middle School's Kiwanis Builders Club helped to celebrate the International Day of Happiness on Wednesday, March 20, 2019 by creating wonderful posters! The posters can be seen in the John F. Kennedy Middle School lobby and main hallway. Great job to all of the Builders Club students! The district celebrated Pi Day on Thursday, March 14, 2019 with a contest at John F. Kennedy Middle School. Students sang songs about Pi and watched amazing videos relating to Pi. Of course, everyone enjoyed eating apple and blueberry pie! Students were tasked with reciting as many correct numbers in a row as possible in the numerical value of Pi. Sixth-grader Joseph Bashker earned top honors in the district for this year by naming 202 digits! Seventh-grader Arsh Singh finished in second place with 132 digits! Special thanks to Ms. O'Sullivan and Ms. Ahronheim for hosting a wonderful event! Congratulations to all of the participating students for helping to celebrate Pi with this fun contest. Five students from the Bethpage Union Free School District were selected to have their talents displayed at two shows. They were chosen based on submissions entered by teacher Nancy Noskewicz. A number of Ms. Noskewicz’s students at Kramer Lane Elementary School and John F. Kennedy Middle School had their work entered for consideration in the Long Island Art Supervisors Association Art Show and Colors of Long Island Art Show. JFK sixth-grader Matthew Cusumano, along with Kramer Lane fifth-grader Jessica Dexter and third-grader Kaitlyn Corcoran, will have work showcased at the Long Island Art Supervisors Association Art Show on March 10 at Farmingdale State College from noon until 4 pm. Kramer Lane fourth-grader Johanna Scarpella and second-grader Giuliana Viscome currently have their artwork on display at the Colors of Long Island Art Show, which will run at the Long Island Museum until April 7. “These students showed exceptional creativity and craftsmanship and should be very proud of their accomplishments,” said Ms. Noskewicz. On Friday, March 1, 2019, the John F. Kennedy Library Media Center celebrated Read Across America Day. The event, sponsored by the National Educational Association (NEA) is an annual reading motivation and awareness program that calls for every child in every community to celebrate reading on March 2, the birthday of beloved children's author, Dr. Seuss. Students at John F. Kennedy Middle School were invited to visit the Library Media Center during their lunch periods to participate in Seuss and reading inspired activities like Seuss Bingo, Design Your Own Bookmark, Make a Cat in the Hat Photo Prop, and a Cat in the Hat Tower Building Challenge! The John F. Kennedy Library Media Center was busy each period and students left with smiles on their faces! On Thursday, February 28, 2019, Bethpage Schools hosted the Harlem Wizards in a fun, exhibition game against the John F. Kennedy Middle School Faculty and Friends in the Bethpage High School Gymnasium. The event was organized by the John F. Kennedy Parent Teacher Association. The Harlem Wizards elicited "oohs" and "ahhs" from the audience with slam dunks, alley-oops, and other fun-filled tricks and games! Special thanks to Ms. Galantini and the John F. Kennedy Parent Teacher Association for organizing the event, John F. Kennedy Middle School's Faculty and Friends for participating in the event, Mr. Schneider for serving as the referee, and all of the other volunteers! Students from John F. Kennedy Middle School visited classrooms at Charles Campagne Elementary School on Feb. 27 to give an anti-bullying presentation. The JFK students split into groups to visit third-, fourth- and fifth-grade classrooms to spotlight anti-bullying. The presentations concentrated on defining bullying, which was followed by discussions about examples of superheroes. The latter component was used to show how students can stand up to bullies in positive and impactful ways and help prevent negative behaviors. The superhero analogy was also used to show how students can use “super powers” for the good of standing up to a bully. Younger students engaged in an exercise in which they identified super powers that they would use to help stop or prevent bullying. The lesson concluded with students illustrating what they would look like as a superhero standing up to bullying. The district thanks the JFK students for taking the time to present a very important message on anti-bullying to our younger students. John F. Kennedy Middle School celebrated school pride with Spirit Week, which was held from Feb. 11-15. The week kicked off with Pajama Day and Jersey Day, then continued with a full display of Golden Eagle enthusiasm on Feb. 13 during Battle of the Classes. As a highlight to the celebrations, Battle of the Classes took place at the end of Colors Day. Each grade was designated a school color to represent their class, with sixth-grade in white, seventh-grade in gold and eighth-grade in blue. That afternoon, the three grades came together in the school’s gymnasium for a pep-rally-style event. Sixth-grader Daniel Anicito, seventh-grader Emily Kossman and eighth-grader Adriana Lisa led the annual occasion as this year’s masters of ceremonies. Sporting their grade’s color, students competed against each other in team activities such as musical chairs, human rock paper scissors and bag toss. Points were tallied throughout the event and members of the eighth-grade class was crowned the winners. Spirit week continued with Fictional Character Day followed by Band/Music Day as students showed their personalities through each theme. The district thanks all those that helped to put the spirit of JFK in the spotlight! On Saturday, February 9, 2019, the John F. Kennedy Middle School Kiwanis Builders Club paid a visit to the Central Island Nursing Home in Plainview. The twelve Builders Club members played Bingo with the residents and took turns calling the numbers. Afterwards, the students handed out homemade Valentine's Day cards to the residents, who were delighted with the cards as well as the visit. It was a wonderful day for the young and old alike! For the first time in the history of John F. Kennedy's 21st Century Chocolate Duck, the event was organized at 4 o'clock in the afternoon! Despite the change in time, all of the spots filled! The theme of this rendition of the Chocolate Duck was "Valentine's Day!". All of the participants had a great time! The 1960s sitcom The Addams Family came to life on the stage of John F. Kennedy Middle School as a musical comedy production by the building’s drama club. The three-night show opened on Jan. 31 with appeal to an audience of all ages. Teacher Zachary Levy directed the play while collaborating with vocal director Jonathan Wibben, choreographer Kaitlin Gregory and stage crew director Michael Gamman to give guidance to the student actors. The Addams Family debuted as a cartoon created by Charles Addams for The New Yorker in 1938 before being adapted to a television show in 1964 and a feature film in 1991. The district congratulates the entire staff and crew for their efforts towards an exceptional production for all ages! Library Media Center Reaches Milestone! John F. Kennedy Middle School students are reading in record numbers this school year! The Library Media Center recently checked out the 2,000th book of the school year on Tuesday, January 29, 2019 to a 7th grade student who not only when home with a great book, but also won a gift basket full of fabulous prizes! Artist and author, Michael Albert, conducted a workshop for our students. The students learned about his style and then created their own art pieces! The participating students all had a great time! Students joined Ms. Klein for their biannual trip to Savers Thrift Superstore. The students learned about recycling clothes to other areas of the world where they can be used. In addition, the students learned how donations of clothes and items in good condition go out into the store. Profits from sales in the store go to Big Brothers Big Sisters. On Sunday, January 27, 2019, John F. Kennedy Middle School's FIRST Lego League RoboEagles, Team #28779, participated in the FIRST Lego League Long Island Qualifiers at Mineola High School. Competing alongside twenty-nine other teams, the RoboEagles had a successful day and qualified for the FIRST Lego League Long Island Championship event in a few weeks! The team also earned the Innovative Solutions Award! Congratulations to all of the student participants! Special thanks to Coach Walsh for guiding the team in their inaugural season based out of John F. Kennedy Middle School and to Ms. Moquin for chaperoning the trip! On Saturday, December 1, 2018, students joined Mrs. Klein, Ms. McKweon, and Ms. Napolitano at That Meetball Place in Farmingdale for the 3rd Annual Jr. Chef Academy. It is called "Meetball" because "it's a great place to meet and have a ball"! Managers Jennie and Jeanine had chef hats prepared for all participants. Students were divided into three groups: tour of the restaurant, salad station, and meatball station. Student groups rotated until all students had the opportunity to participate at each station. After completing the Academy, students sat down for lunch, which consisted of their salad, pasta, meatballs, gelato, and a soft drink. To conclude, all students were presented with a completion certificate! 21st Century: Sew Much Fun! Keeping in line with John F. Kennedy Middle School's Mindfulness Program, Ms. McKweon and Mrs. Klein helped students create relaxing heating pads. Students were provided material remnants. They were taught how to thread a needle and how to sew by hand. Then, students filled "inside bags" with rice that they brought with them. That bag when went inside the material bag. Each bag needed to be sewn closed. Mrs. Klein used the microwave to heat them up. Essential oils could also be used, if the students chose. Sew Much Fun was SO MUCH FUN! A total of 23 students from Bethpage High School and John F. Kennedy Middle School have been selected to perform in the Nassau Music Educators Association All-County Festivals this upcoming January. Students were selected based on their NYSSMA scores from last spring and represent the individuals who achieved the highest marks. 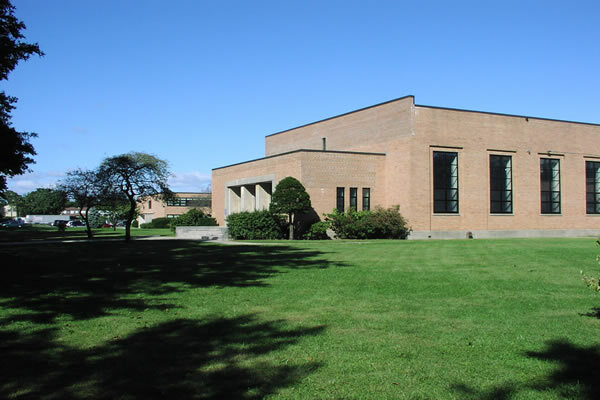 All the concerts will take place at the Tilles Center for the Performing Arts on the campus of LIU Post throughout the second and third weeks of January. The JFK students set to perform include Joey Baskhker, Sara Bashker, Gayatri Bhat-Viola, John Dong, Haley Flaherty, Olivia Flaherty, Ashley Garner, Sophia Gianfrancesco, Jack Looney, Nicholas Morgan, Leo Miller, Ryan O’Connell and Lauren Zabrowski. Representing the high school are Madison Buttice, Joyce Choi, Samir Gupte, William Katartzis, Soham Maiti, Valenni Passsaro, Emanuella Tsourous and AJ Vita. In addition to the All-County achievements, students from both schools were also chosen to participate in the Long Island String Festival Association performances this winter. High school students Suchitha Channapatana, Doreen Dong and Soham Maiti and JFK students Thomas Cuzzo and Svetlana Mughnetyan will take the spotlight at this event. The district congratulates all of these talented musicians for their hard work and opportunity to showcase their abilities at the festivals! On Tuesday, November 20, 2018, the John F. Kennedy Middle School Kiwanis Builders Club and advisors Ronny Ciarniello and Fran Trotter, received a citation from the Town of Oyster Bay for their participation in a DVD collection for our service men and women overseas. Hundreds of DVDs were collected at John F. Kennedy Middle School and will be distributed to troops around the world. Thank you to everyone who donated DVDs in support of this cause! Students from John F. Kennedy Middle School joined Ms. Klein and Ms. McKweon and visited the Raynham House Museum in Oyster Bay. The participants heard from a true historian about the British, Patriots, spies, slavery, love, friendship, and so much more! The District gathered on Nov. 6 for it’s fall Superintendent’s Conference Day, during which the various staff departments participated in presentations, workshops and activities to continue proactive learning and development as educators. Staff members from the high school and JFK middle school along with Superintendent of School David Schneider attended morning sessions that focused on dynamic issues, led by Lauren Marra and Romila “Dr. Romie” Mushtaq, MD. Marra, a behaviorist who specializes on the topic of Positive Behavioral Interventions and Supports, presented on proactive discipline approaches with students. Dr. Romie is a renowned neurologist that stressed the importance and techniques of mindfulness in education for both students and faculty. The afternoon was a time of collaboration as departments at both secondary schools traveled to the Island Trees School District and met with educators in their corresponding building and subject areas. They had opportunities to share ideas and broaden their instructional practices. At the elementary level, faculty members from Kramer Lane, Charles Campagne and Central Boulevard broke into grade-specific groups to gain training in STEM and other pertinent topics. Led by district administrators and teachers, the STEM workshop demonstrated assorted grade-specific lessons and activities. The journeys session covered content requested by teachers and also provided time for them to discuss and navigate digital tools. Other aspects of the day included CPR training for nurses and building monitors and the Hofstra Mental Health Conference, which was attended by guidance counselors and social workers. The district thanks Assistant Superintendent for Instruction Michael Spence and all that helped to coordinate and facilitate an educational day for district educators. Students at JFK Middle School have been enjoying lunch periods this year without the use of technology. Instead, they are interacting with one another through friendly competition in various games during what is being called Tech Free Lunch. An initiative started during the 2017-18 school year provides students with an escape from technology during their lunch periods two times a week. On those days, students are able to select from games such as Connect Four, UNO, Jenga, Trouble, Battleship and many others from a game cart in the school’s cafeteria. The purpose of the Tech Free Lunch periods is to create an environment of collaboration and fun without the consistent use of technology. The activity also helps to build communication skills as the students enjoy the excitement of a board or card game with one another. “While we certainly value the use of technology during the school day to enhance the curriculum, it is also essential for our students to ‘disconnect’ every now and then so they can sharpen their interpersonal skills,” said JFK Assistant Principal Erin Hayes. With Ms. Ahronheim and Ms. Klein as their coaches, students from John F. Kennedy Middle School had the opportunity to participate in a 21st Century: Scrabble activity to learn how to earn more points in the game. We hope that the participants will use their newfound knowledge in their next game of Scrabble! Back by popular demand for its fifth year, the 21st Century: Chocolate Duck activity is going strong! It may have been pouring outside, but inside it was raining chocolate! Each participant went home with chocolate pops and six Autumn-themed cupcakes that they created! Based on the smiles and laughter, the students had a 'sweet' time! On Friday, October 5, 2018, Grade 6 students from John F. Kennedy Middle School were given the opportunity to create their own locker organizers. Given that this is the first year that Grade 6 students will be using lockers in their academic career, participants used creativity in the design of their organizer. Special thanks to Ms. Klein and Ms. McKweon for facilitating this 21st Century activity! Members of the Marine Science Club along with other environmentally concerned students from Bethpage High School and John F. Kennedy Middle School helped to rid our beaches of trash. The students were greeted by Town of Oyster Bay Supervisor, Joe Saladino, who boarded the school bus to personally thank them for their good work. Participants were treated to a hot dog cookout and had the opportunity to try their hand at fishing while the charcoal heated up! Local specimen were collected for the Marine Club's saltwater tank. Sophia Passaro attended Harvard University for the Ambassador Leaders Summit during this past summer. Students who are nominated must "demonstrate scholastic achievement, leadership potential, and the ability to take initiative to affect positive change." Sophia was nominated by her teacher, Ms, Balvin and was the perfect candidate! Sophia had the opportunity to stay in a Harvard dorm and tour the university's campus! She spent her time collaborating with peers from around the country creating a charity and she was even nominated to be one of the team's leaders! Way to go, Sophia! On Saturday, September 22, 2018, students from John F. Kennedy Middle School accompanied Mr. Zabell, Mrs. Marcis, and Mr. Choi to the 9th Annual World MakerFaire New York held at the New York Hall of Science in Queens. A MakerFaire is "an all ages gathering of technology enthusiasts, artists, authors, crafters, do-it-yourselfers, educators, engineers, exhibitors, hobbyists, science clubs, students, and tinkerers." Students got to see various exhibits, participate in several hands-on exhibits, and ask questions to the exhibitors. A list and description of the extracurricular clubs being offered at John F. Kennedy Middle School for the 2018-19 school year is available below. Students can learn more about each of these clubs during the Activity Fair on Thursday, September 20, 2018 and Friday, September 21, 2018. There's something for everyone and we encourage you to get involved! Student supply lists for the 2018-19 school year for each of the subject areas can be accessed through the links below.